In the last days I came across two interesting videos on Channel9 showing where Microsoft Embedded technologies are headed to.The first one is the unseen Microsoft and the second is A look behind Windows Embedded .In both videos they are showing examples of existing devices working on Windows Embedded and also discussing new devices coming in near future.The new version 6 of Windows Embedded CE is out.To conclude I would say that Microsoft are really into the Embedded device development and are looking optimistically on the coming 7-8 years. This entry was posted in Hardware, Software and tagged Embedded Systems, Microsoft on November 17, 2007 by Todor. 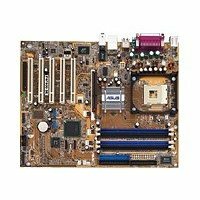 After starting my blog last week I haven’t posted at all.One of the reasons is that my PC was not working for a few days.My friend’s PC was not working at all ,so we decided to try all components on my computer as we both have the same motherboard – Asus P4P800. We first put his video card on my PC and everything works fine.Then we swapped the RAM memory and the PC didn’t start.That was strange!We returned my RAM memory,but my PC still didn’t start. 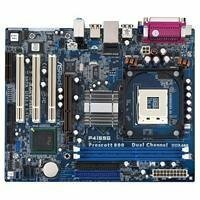 I returned my default video card and it was the same old configuration that has worked untill few minutes, but it didn’t load anything.After many tries the PC remain silent and the problem was in the Asus P4P800 .We still do not know why and what happend .As a result I have to buy a new motherboard – ASRock P4I65G. Now I am with this new configuration and I hope that I will not have any problems. This entry was posted in Hardware and tagged Hardware on November 2, 2006 by Todor.